For this week’s Members Corner blog, we are pleased to welcome and introduce Jesse Clark of Easy-Click Web Design. Jesse has been one of the more active members of our community. His feedback and support has been invaluable. We love the members who utilize our platform to connect with others in the community, build relationships, bring value, and collaborate to grow the community. Please help us welcome Jesse and check out his amazing offers at Jesse Clark of Easy-Click Web Design. 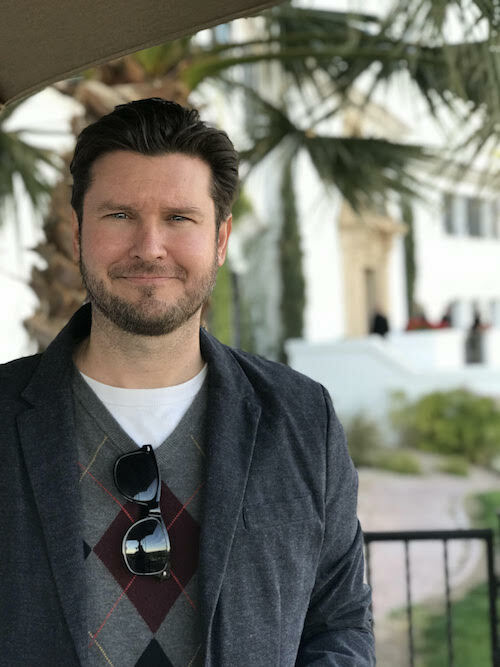 Jesse Clark, a veteran high school and college teacher and Founder/CEO of uShine technologies has been in the technology industry for over a decade, servicing Peoria and Phoenix, AZ. 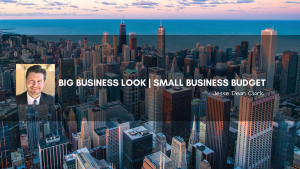 Jesse has found passion in helping organizations and small businesses enhance their online presence and hires only the best professionals around to offer the best products and services for his clients. I am a graduate from the University of Northern Iowa where I have spent most of child and early adult years. I am a born trainer and love technology. When I am not busy making customers happy through my one on one online services, I am making training videos and conducting online coaching. I enjoy spending time with my wife and 3 year old daughter and balancing that family – work balance is a top priority of mine. For the most part, the weather 9 months out of the year. Living in Phoenix, there is always something to do and your within a few hour drive to many beautiful places. I started a photography company about 10 years ago in Tucson, Az. After moving to Phoenix, 7 years after that, I sold my share of my company to my partner and picked up where I left off building another business in the online technology consulting field. A few years ago, I realized that I was consistently building and managing websites and other digital platforms for my customers. It just took off. I am now offering web design and hosting along with other technology consulting programs through my Tech Blocks where my clients can purchase blocks of time and use my services however they want. My ideal client is businesses that are on a budget and just starting out. They are often confused and get frustrated on how to get their business off the ground. This is where I come in. I walk them step by step through building their brand and getting noticed on Google. I am very active in social media communities. I get a lot of referral and repeat customers. People often find me on Google as well. Just in the last two years have I finally narrowed my services and pricing strategies that are not so broad and confusing the clients. This has been the main challenge from day one. With repeat clients and referrals, I definitely contribute my prompt customer service, communication and finding ways to make my clients feel comfortable and understand what they need to do to shine online. I have been in education for over 10 years and love working with others and finding free and affordable resources for small businesses. I am very active in social media communities and am always researching and picking the brains of specialists in my field. If I don’t have the answer, I most likely have a connection with someone who does. Who exactly is your customer? From there, I can help them build their brand and get them in front of the people they want to sell to. My wife and I have found this to be very important. I am a very present and hands-on husband and father. I have office hours that I try really hard to stick to. Owning my own business does require me to have some flexibility but for the most part, my clients are very understanding. I am excited for this community and see what it can do for my business and look forward to helping other small business. Please check out Jesse’s following Offers on Avontage and use this great resource to grow your business. Let me build you a new website today! Previous Previous post: Is Your Business Making One of These Money-Wasting Mistakes?